From fabrication to installation, Fabri-Tech always keep an elegant, functional, and safe staircase structures for customers’ satisfaction. We provide Fort Myers, Cape Coral, Naples, Marco Island, Port Charlotte, and Sarasota communities with quality workmanship. Dependability is what we pride ourselves in. 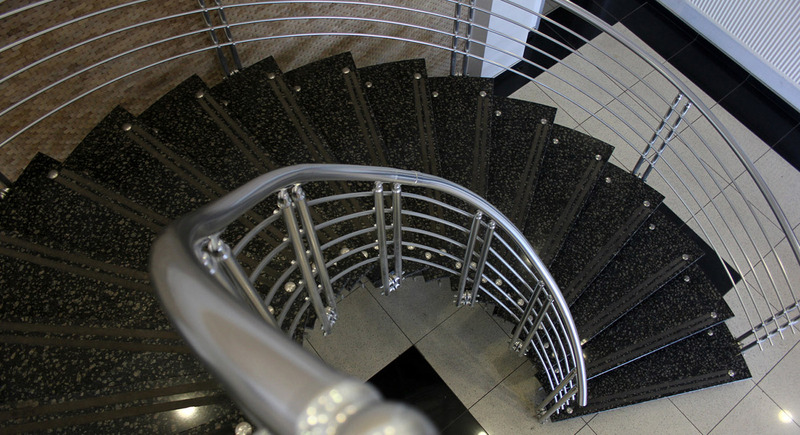 We offer simple, complex, modern, and elegant staircase options such as straight stairs, spiral, three quarter turn, quarter turn, half turn, circular,curved, or a combination. These will provide you with a wide variety of staircase design for the enhancement of the overall look and functionality of a home or business that you dreamed of. Call us at 1-800-281-1289 or 239-772-9825 today for a non-obligation design consultation. You can count on us wherever in Marco Island, Bonita Springs, Naples, Fort Myers, Cape Coral, Port Charlotte, North Port, Venice, Estero, Punta Gorda, and Lehigh Acres.